Many thanks to Helen for featuring the Daisy Chain Sweater on the home page of her yahoo Knifty Knitter Loom Knitting Group. It is always a privilege to be chosen for the home page. Thank you Helen! Just off the loom, I am continuing to knit as many small gifts as possible for the holidays. My favorite has been the Poppy Neckerchief, which has proven to be a versatile pattern, working well in DK, Worsted and Chunky weight yarns, as well as 1/2 inch and 5/8 inch gauge looms. The photo today shows it in James C. Brett Marble Chunky yarn, Autumn, worked on a 1/2 inch CinDwood hat loom. Something new as well, a floppy beret that swirls with a lovely lace pattern. This will be a great pattern, as it works on at least 6 different sized hat looms, in 3 gauges, and in yarns from DK to chunky. The purple hat is worked in Knit Picks DK City Tweed, and has a wonderful soft drape to it. The striped beret is the same pattern, worked in the Brett Marble Chunky to match the little poppy neckerchief. In the chunky, it still has a nice drape, but the lace shows less, so a striped yarn gives the pattern its swirl again. I've shown these to a few friends, and now have more to knit. As always, I'm working on writing the patterns. Thanks for stopping by, and please leave me a note letting me know how you like these loom projects. The floppy beret is gorgeous. As always, can't wait for the pattern for the beret!!! Working on the Karius shawl in Noro Silk Garden/Alpaca silk (from my herd). 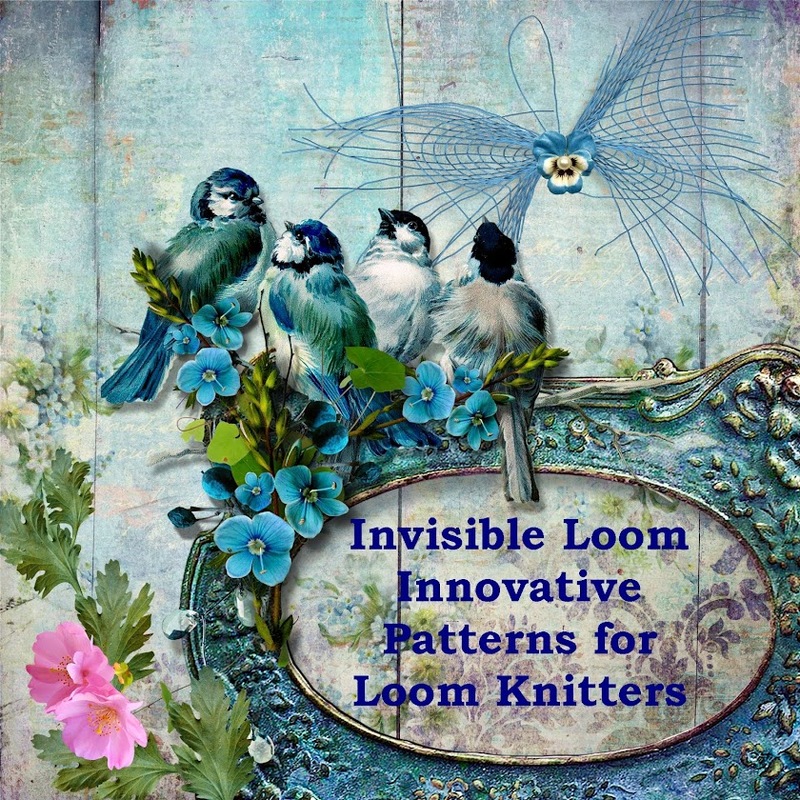 Your patterns are bringing more folks I know to loom knitting because they can't believe they can do that on a loom! Thank you again.